I will be skipping this weeks Top Ten Tuesday. 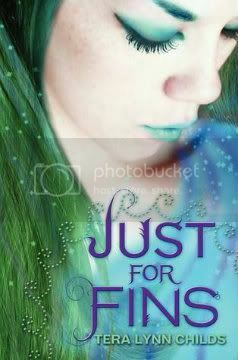 This week's teaser comes from Just for Fins written by Tera Lynn Childs. "Let's race," I say. "If you win, we can have seaghetti for dinner instead of sushi." "And if I win?" he asked. I give him a wicked grin. "You have to eat hoya". My teaser is listed below. Hope you can stop by....I have giveaways going on as well. Seaghetti, hehe! I still have to read this one.